Year’s second grand slam is few days away and we’ve allocated the contenders for Suzanne Lenglen trophy. World number one Serena Williams is the main contender for this year’s tournament as well. Serena is coming to Paris as the top seed and the defending champion for the first time in 11 years. Williams won her first French Open title in 2002 beating her sister Venus but couldn’t defend her title in 2003 as she faltered against Justin Henin in the controversial semi final encounter. However last year the American repeated what she did in 2002 by winning the title over Maria Sharapova. Williams lost to Virginie Razzano year before that in the opening round. Since then Williams is unbeaten on red clay. 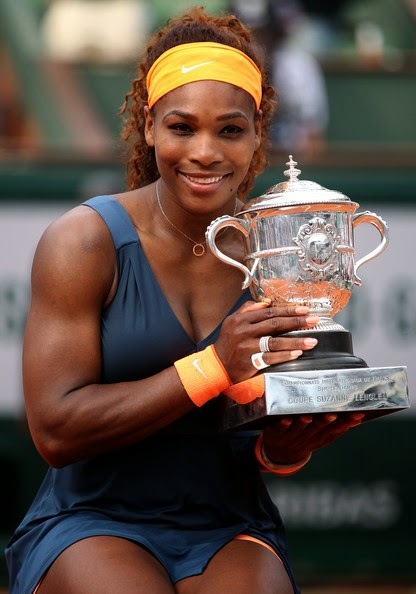 She won all three major tournaments on red clay last season. A thigh injury bothered Williams European clay campaign this season as she pulled out just before her quarter final match in Madrid. But Williams found the momentum last week in Rome. On the way to her third Rome title Williams only surrendered one set in semi finals to Ana Ivanovic. After struggling to find her form in the early part of the season, Sharapova began the clay season with huge ranking points to defend. After an epic first round victory in Stuttgart against Lucie Safarova, the Russian started to glitter on mud winning twelve matches in a row en-route to back to back titles in Stuttgart and Madrid. Sharapova’s three-peat in Stuttgart is the first ever three-peat in her career and the title in Madrid over Simona Halep marks her first title in Spain soil. Sharapova came to Rome as an overwhelming favourite having won the title in 2011 and 2012. Going into her third round match against Ana Ivanovic, Sharapova hadn't lost on clay to anyone other than Serena Williams in almost three years as she was 47-0 on clay against the other players. Later Ivanovic snapped Sharapova’s 12 match winning streak on clay. Despite the result in Rome, Sharapova, winner of 2012 French Open, is still a contender for this year’s title and coming to Paris to clinch her second Roland Garros title. 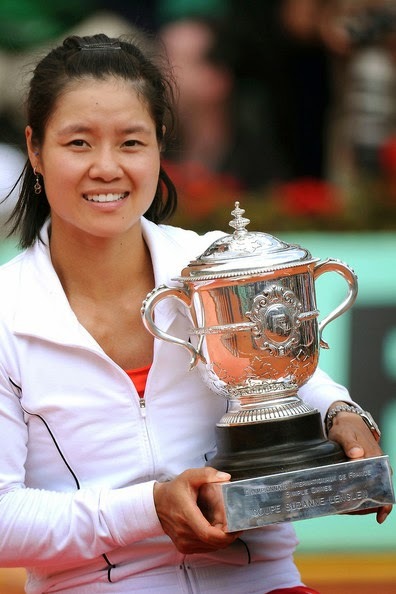 Li Na became the first Asian male or female player to win a grand slam in 2011 at Roland Garros. She created the history again early in this season by winning her second grand slam title at the Australian Open. 2011 champion is the point leader of the WTA year end championships rankings and one of the major contenders for the title as well. The Chinese might not be having her best clay season at the moment; losing in quarter finals to Sharapova in Madrid and Errani in Rome. Li also pulled out from Stuttgart where she was supposed to begin her clay season this year. The Chinese also had a shocking loss in the second round of the French Open last year. However with so much confidence the world number two can outplay any one on this surface. Last year the Romanian Simona Halep was an unseeded player coming to French Open but the story is different this time. Halep finished the last year with 6 titles and became WTA’s most improved player. She clinched her biggest title in Doha this year and now she has made into the top 4 as well. Halep reached semi finals of Rome last year as a qualifier and won two titles on clay. The Romanian promisingly started the clay season this year as well, reaching the final in Madrid losing to Sharapova after winning the opening set. Halep had to pull out from Rome after her second round match due to an injury. Halep should be coming to Paris healthy, full of confidence, and playing on her favorite surface. For the record Halep has won the French open as a junior in 2008. Ana Ivanovic is coming to Roland Garros as a former champion of the tournament. After winning the French Open Ivanovic had to face a painful downfall in her career. She was outside the top 60 in 2010 caused by the downfall. However the Serbian had shown some improvements of her game since then and she has made into the top 20 in the last couple of seasons. Ivanovic is having a resurgence year in 2014 as well. The Serbian is seeded 11th for French Open this year and will enjoy the highest seeding she’s received since 2009 US Open. She is currently 7th in the year end championship rankings and has beaten five top 10 players this year including Serena Williams and Maria Sharapova. She won couple of international titles on hard surface and reached her first final on clay in Stuttgart since 2008 French Open. The Serbian also reached semi finals in Rome falling to the eventual champion Serena Williams. Not only that, Ivanovic is the match win leader of 2014. With the powering forehand and the consistency shown in this year Ivanovic should be someone to look out for. This site is not an official site and is in no way related to WTA officials. Awesome Inc. theme. Powered by Blogger.